﻿ The Flag of Zambia | Embassy of the Republic of Zambia in Washington, D.C. 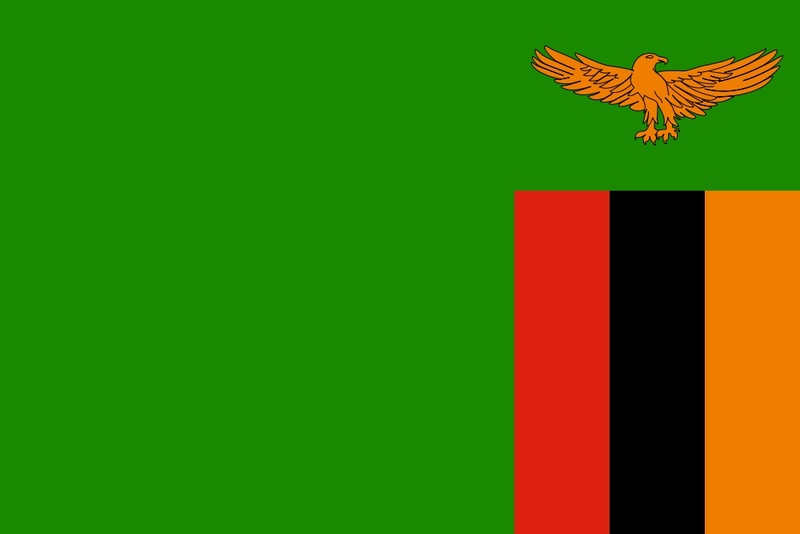 The flag of Zambia, hoisted for the first time at midnight, October 23, 1964, symbolizes patriotism and the nation's wealth. Its basic colour is green with an orange-coloured eagle in flight over a rectangular block of three vertical stripes in red, black, and orange (left to right). Red represnts the struggle for freedom; black, the people of Zambia; orange, the country's mineral wealth; and green, the natural resources. The eagle in flight symbolizes the freedom in Zambia and the ability to rise above the country's problems.